Our Private Training sessions are 100% tailored to the student’s individual needs! This is an excellent program for first time shooters who have never touched a firearm, LTC applicants looking to prepare for their shooting qualification, or experienced shooters who desire training on specific skill sets such as speed shooting or multiple targets. Our instructors bring a wealth of knowledge and experience to this training. We are available for private lessons by the hour. Some of our courses are taught either in a one-on-one or for up to two people. In the market for a new firearm? Knowledge is power. This class will provide the participant with the necessary knowledge to make an educated decision on their next firearm purchase. 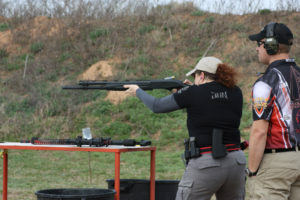 This course will offer the opportunity to not only shoot a variety of different brands and calibers, but also provide instruction on proper operating and safety techniques. Purchase the firearm that you know to be best for you, not the one the sales man thinks is best for you. Cost for this service? Depending on number of rounds shot and amount of time spent on the range. Some of the weapons we offer include: Glock, Springfield, Beretta, Colt, FNH, Sig-Sauer, Kel-tech, Bushmaster, Kimber, Smith & Wesson, The Shield, Remington.…everything from revolver to semi-automatic and more. These sessions are great for beginners who have never shot a firearm, someone who doesn’t own a firearm and would like to qualify for their LTC, advanced shooters who would like to try out a new firearm before making a purchase or just a buddy get-together to experience the sport of target shooting. Price: $75 per hour for 1 shooter plus the cost of ammunition which can be purchased from the range house. Course Length: Approx 1 hour. Can be combined with a private class to include shooting instruction at no extra charge. Ladies please do NOT wear tank tops or low-neckline blouses to class. Hot brass shells from a semi-automatic weapon can be painful and will burn you. Proper protection is important when firing any weapon.